A drinking water filter system from RainSoft can be the just the solution you are looking for if you suspect the water in your Tampa, Florida, home doesn’t taste as good as it could. Since 1953, RainSoft has been helping homeowners to make their water better with our state-of-the-art products, including our drinking water filter systems, one of which will allow you to enjoy an unlimited supply of better-than-bottle quality water right in your home. 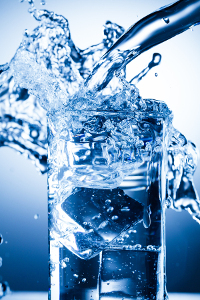 Plus, having a drinking water filter in your Tampa home is convenient and cost effective. You will no longer need to spend money on bottled water, or replace filters on faucet-mounted or pitcher water filters, because our systems only require a filter replacement on average once per year. Our systems are installed out of the way under the kitchen sink, so all you have to do is turn on the tap and enjoy delicious water. Our drinking water filters can also be plumbed to your refrigerator’s water supply, allowing you to enjoy crisp drinking water and crystal clear ice cubes right from the dispenser. To learn more about having one of our drinking water filter systems installed in your Tampa, FL, home, contact your local authorized RainSoft dealer today to schedule a complimentary in-home water test.